Thursday nights on HGTV are set aside for “Fixer Upper,” hosted by Chip and Joanna Gaines, who take on home-renovation projects in or near Waco, Texas. 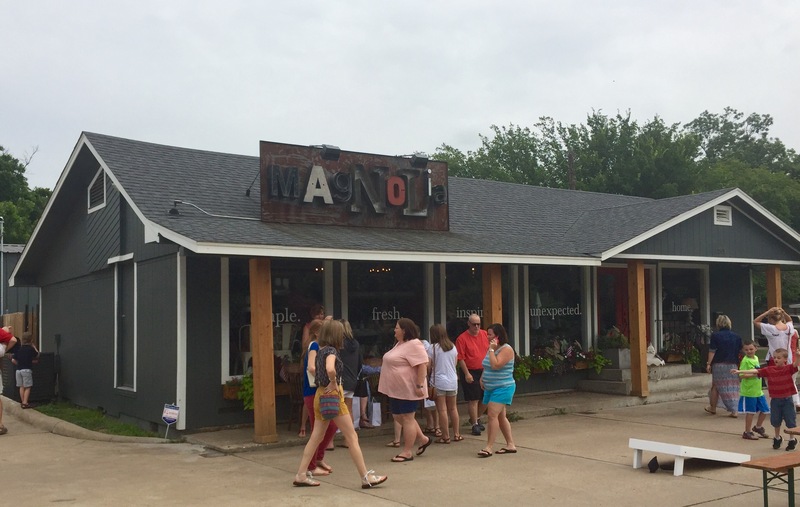 Friday morning was set aside by me to pay a visit to Magnolia Market, Joanna’s shop in Waco that sells a lot of the furnishings you see on the show. I wasn’t disappointed. Joanna sells a lot of cute farmhouse-themed products; I bought a cute chocolate-chip recipe tea towel, a measuring pitcher to hold kitchen utensils, a wooden berry bucket and a wire box with a lid. I almost bought a cute cherry blossom wreath for our front door, too, but thought it might be too wide. 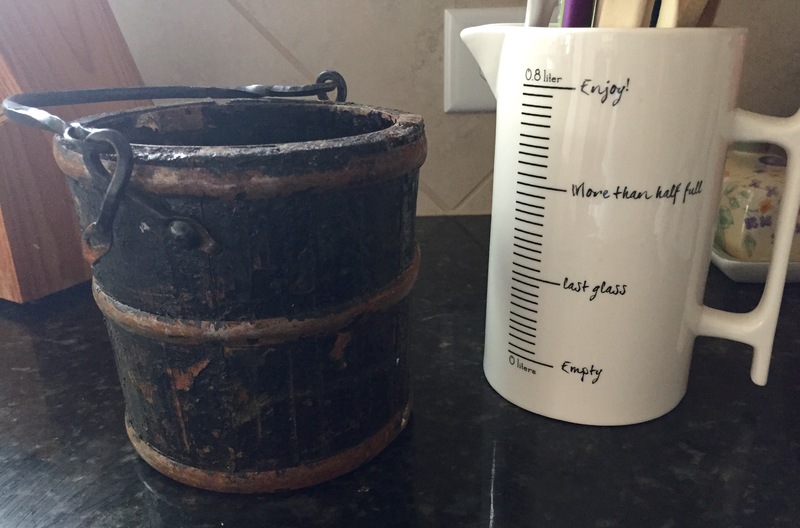 Fortunately, it sells on the market’s website, so I can measure it and order if it fits. Watching “Fixer Upper” and seeing what Chip and Joanna do to fix up older houses has me in love with idea myself. Not that I could ever take on such a project myself. And husband would want to have absolutely nothing to do it, for sure. So now I just have to figure out a way to get him to move closer to Waco (in hopes of getting our own “Fixer Upper” episode). Or find someone and some place closer to Georgetown to which we could do something similar. A girl can dream, right? And tonight I’ll be dreaming of magnolias. 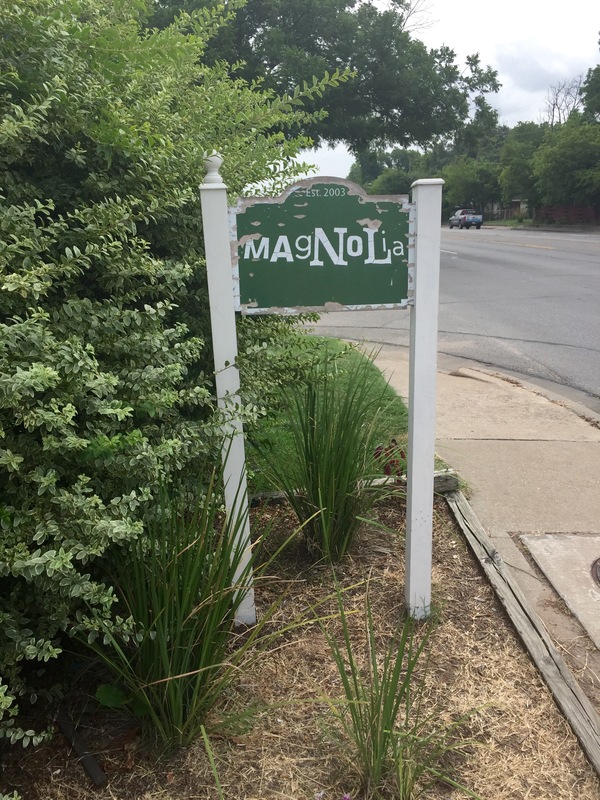 This entry was posted in Living and tagged fixer upper, Magnolia Market on July 3, 2015 by Julie Riebe.